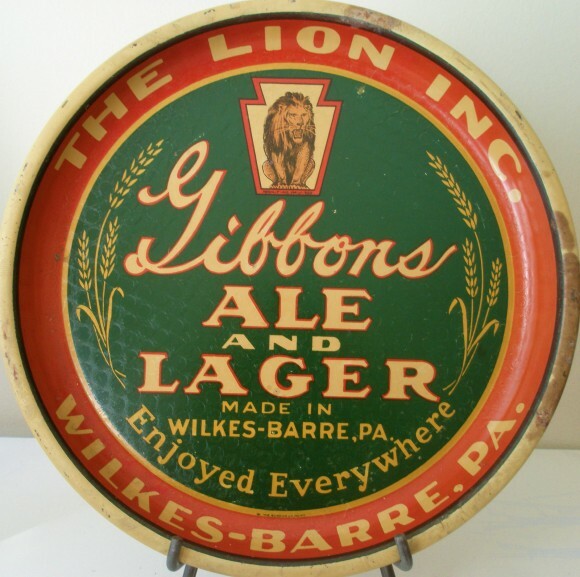 Serving Tray for Gibbons Ale & Lager from The Lion Incorporation made in Wilkes-Barre, PA. Text along bottom states Enjoyed Everywhere. Around the border it shows barley and a lion at the top for the company’s logo.